Android is the world’s most popular operating system for smart phones and tablets. In the 3rd quarter of 2013 81% of smartphones sold were Android based. Hundred of thousands of apps are available for Android on the Google Play store and on unofficial websites. Sometimes if you install an App on your Android device, you will be prompted by a message asking for Root access permissions to install and run the App. For example if you wanted to record the screen of your Android device as a video file, there are apps available, e.g. SCR Free, however to run this app you need root access. Rooting is a process of getting full Administrative control off your Android device. After rooting your device you will be able to perform any administrative action, such as uninstalling many pre-installed apps that you never use. As an example, on Windows there are different user roles such as Administrator and Guest. A Guest user has limited access and cannot access password protected files, folder and settings. A user with an Administrator role have full access. Much like Windows and other Operating Systems, features have been disabled to prevent damage to the Operating System that a casual user could cause. There are many advantages of rooting your Android device but there are many disadvantages as well. Here are some points to remember before rooting your Android device. You will have full control over over Android. You will be able to alter files, delete annoying apps and access many new settings and features. You will be able to run special applications. The ability to block ads that are displayed in free apps. You can uninstall pre-installed vendor or operator apps, that you don’t like or don’t use. You can install custom roms (A rom is a replacement operating system). These are a powerful feature of rooted phones, that give the potential to increase speed and performance and change the look and feel of your phone. Take a look here for a list of available custom roms. You can back up your entire system to an SD card and restore it later when required. This allows for experimenting with custom roms, bleeding edge Android and the ability to switch between multiple operating systems. You can access newer versions of Android and apps on older devices that are not officially supported. Rooting immediately voids your warranty. After rooting your phone, you won’t be able to take your phone for service or warranty requests. Risk of ‘Bricking’. There is a risk of rendering your phone completely useless and unrecoverable. Poor performance. Sometimes in an attempt to speed up your phone, you might lose performance or features offered by existing apps or custom Android versions. Many countries have laws about rooting, rooting is illegal in some countries such as the USA. Make sure it is legal in your country before rooting your device. The Free Software Foundation in Europe argues that it is legal to root or flash any device. In the United Kingdom the Copyright and Related Rights Regulations 2003 makes circumventing DRM protection measures legal for the purpose of interoperability. India’s copyright law permits circumventing DRM for non-copyright-infringing purposes. While New Zealand’s copyright law allows the use of technological protection measures but only for legal use and does not allow copyright infringing. Rooting a device involves circumventing its technological protection measures (in order to allow root access and running alternative software), so its legal status is affected by laws regarding circumvention of digital locks, such as laws protecting digital rights management (DRM) mechanisms. Many countries do not have such laws, and some countries have laws including exceptions for rooting. Many manufacturers have tried to ship unrootable Phones such as the Motorola Droid X, but they were always rootable in some way. Many manufacturers have released unlocked or unlockable devices, such as Google’s Nexus devices that can be unlocked after accepting a warning. 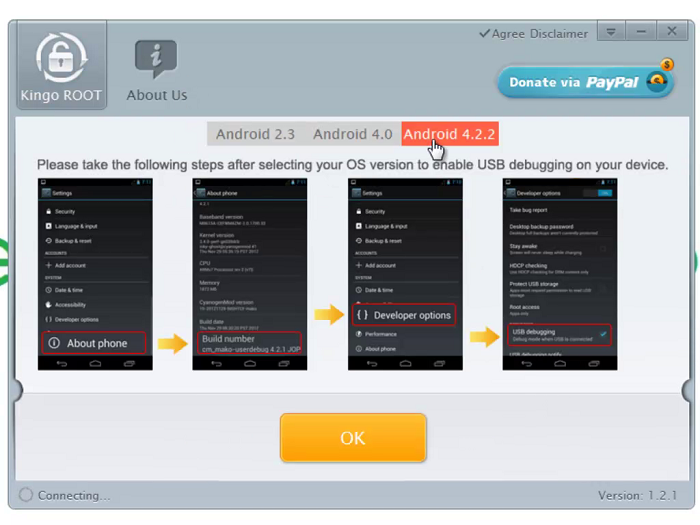 How to Root Android ? 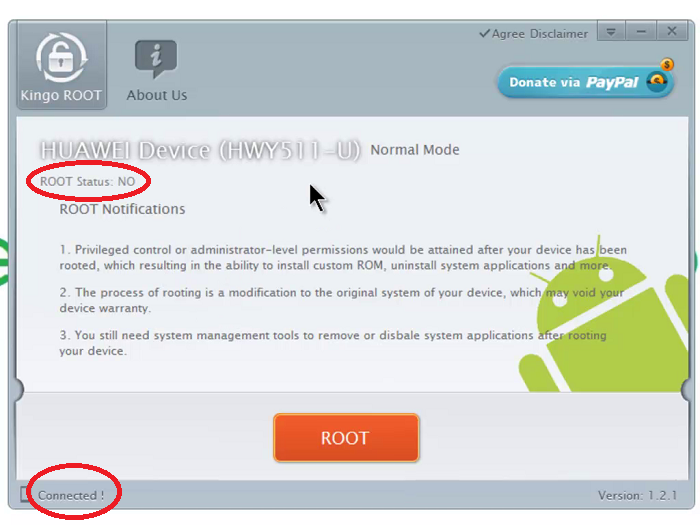 There are many ways to root Android devices, I am going to show you an easy and simple method. Kingo Android Root is a free app available on Windows for Android rooting, go to kingoapp, download and install the application. After installation, connect your android device to your PC via a USB cable. 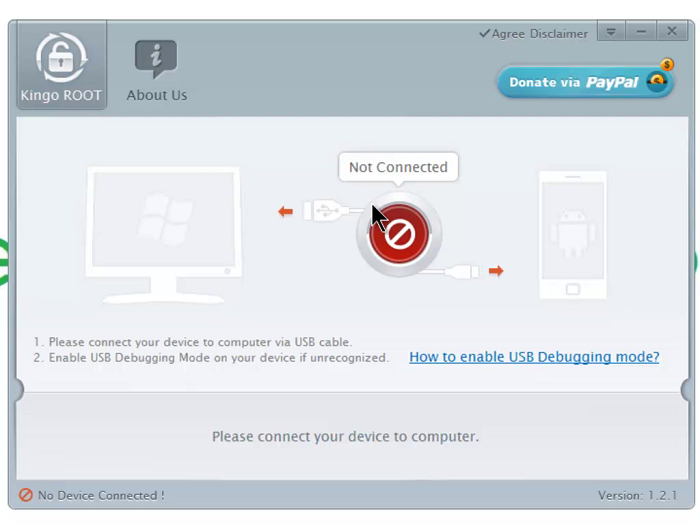 If USB Debugging is not enabled on your device, make sure it is enabled. To do this, go to System setting > Developer options > USB debugging. If developer options are off, click the On button. If you can not see developer option, tap 7 times on About Phone to enable developers options. When your device is connected, Kingo app will download necessary device driver software. This may take several minutes. Here is screen shot of when my Huawei phone was connected. When you are ready click the Root button to start the process, it may take a few minutes to complete. After rooting you will see a Root Succeeded message. After rooting your device, it will restart, if you see any errors such as “launcher has stopped” and a black screen, wait for a minutes or two. If nothing works then just restart your device and every thing should be fine. After Rooting my Huawei Y511, my screen went black, I waited a few minutes, restarted my phone and everything started working. I feel that you own your device and it’s up to you what you do with it, but make sure you don’t violate the laws of your country and understand the disadvantages of rooting. I was able to install and use new apps and features of Android 4.4 KitKat and it wasn’t a bad experience for me, I’d love to know how you find the process.